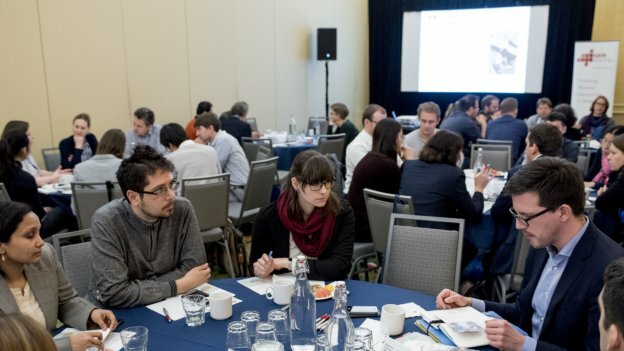 Network with German Professors, get information on PhD and post-doc positions, funding, and admission procedures at the European Career Fair (ECF) at MIT. Are you ready to take the next step in your scientific career? The European Career Fair (ECF) at MIT is the largest recruiting event in the United States for European companies and research institutions. It is the ideal place to discover new opportunities for a research career in Germany. On Sunday, 17 February, the German exhibitors will hold an informative and dynamic workshop about the German research landscape, career paths and funding opportunities in Germany. For more information and registration, follow the link: “Research in Germany” at the MIT European Career Fair 2019.